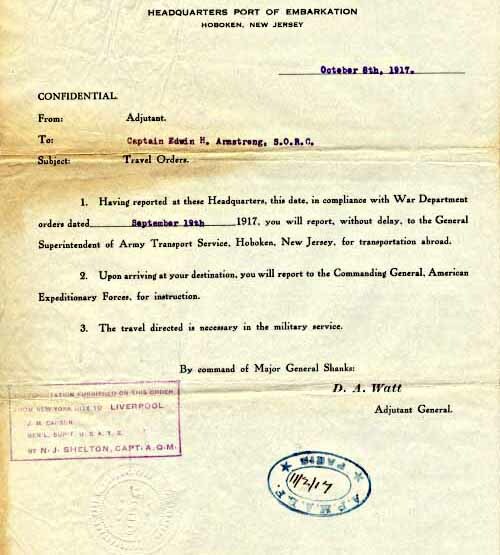 War was declared in the spring of 1917 and Armstrong, like hundreds of thousands of other Americans, was prepared to put everything on hold for the duration. The First World War would define a period in Armstrong's life that would never be equaled. He was free from the prewar patent litigation that was just beginning and would haunt him after the war and for the rest of his life. He would make acquaintances that would remain loyal friends and associates for life. He would develop one of his greatest inventions, the superheterodyne circuit. He would be known worldwide as 'Major Armstrong' for the rest of his life and beyond. 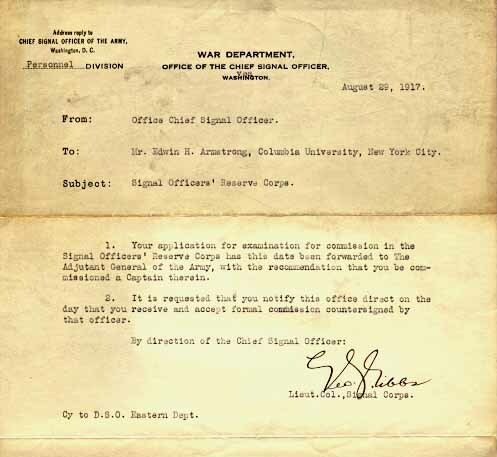 Not quite twenty-seven years old, Armstrong's application for a commission as an officer in the Army Signal Corps. was being processed. 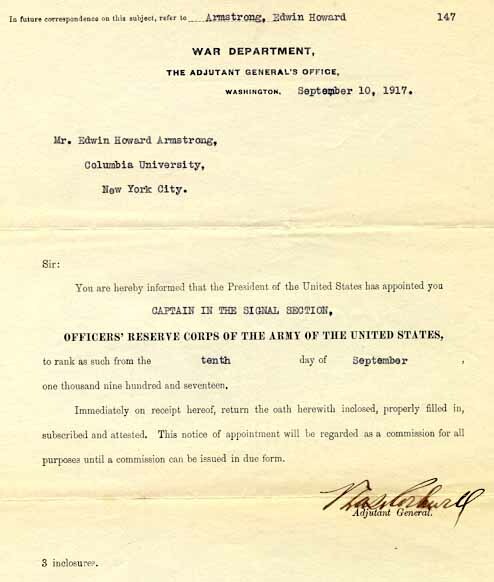 This document, received by Armstrong at Columbia University, was to have a profound effect on his career. 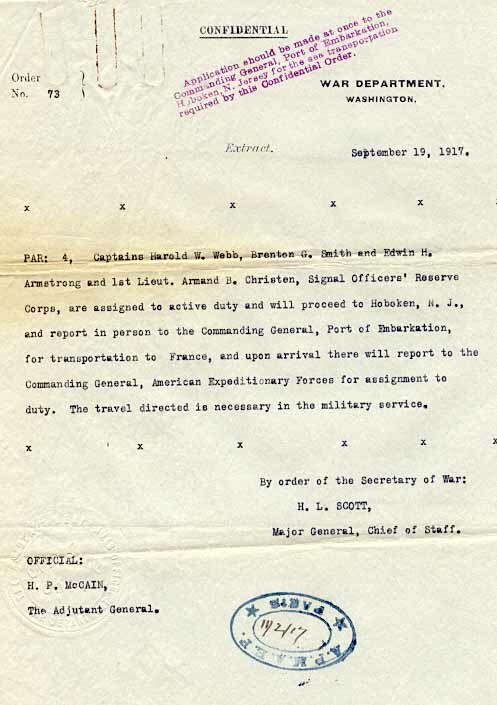 Orders to report to France. The Americans had not yet entered into combat, which would come after a buildup of personnel and equipment, in the winter of 1917/1918. 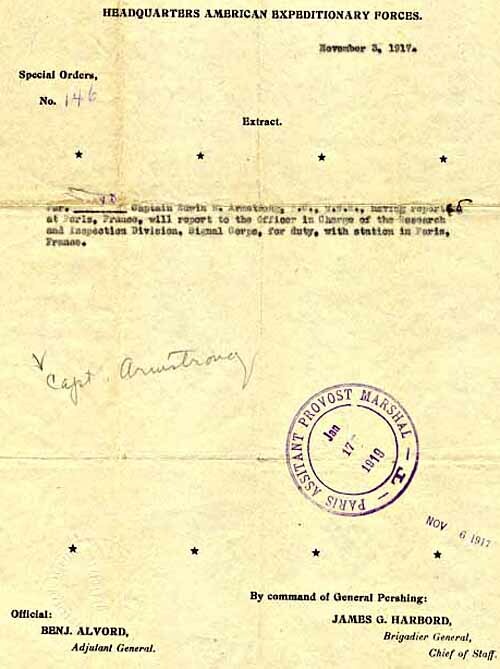 Possibly his first orders after arriving in France: Report to the Research and Inspection Division, Paris.